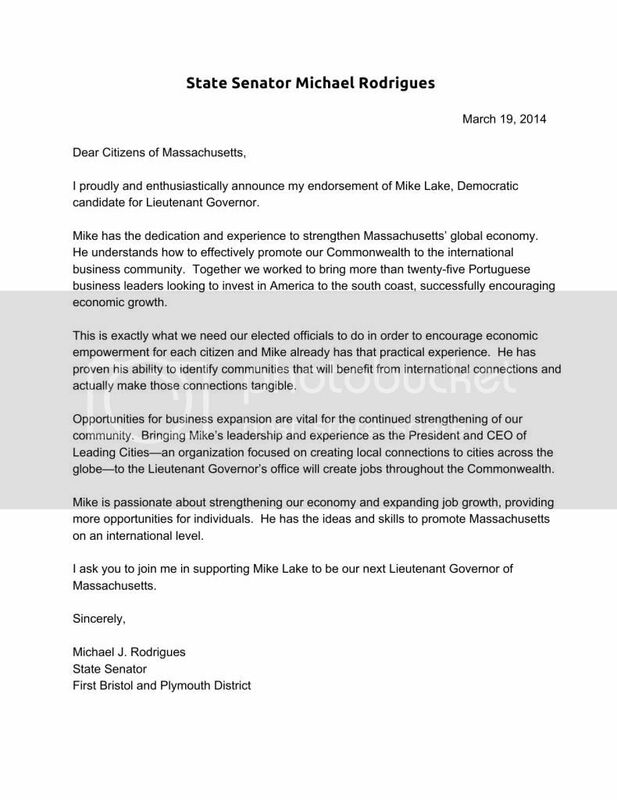 (March 19, 2014 - Boston, MA): Democratic Candidate for Lt. Governor Mike Lake was officially endorsed by State Senator Michael Rodrigues of the First Bristol and Plymouth District. Rodrigues emphasized Lake’s work to bring Portuguese ambassadors to the South Coast business community. Somerset, Swansea, and Westport—praised Lake’s work as the President and CEO of Leading Cities.